This year, generous Canadians like you donated more than 16,600,000 pieces of medical equipment. Then more generous Canadians gave enough money to ship 29 containers of this equipment to 9 countries where it continues to transform the lives of families living in poverty with disability. You can see this transformation in a small home, off the beaten tourist path in Cuba where Pastor Jordaeilis and his wife Vicelkis live with their two sons. Both 5-year-old Dani and 2-year-old Jahziel were born with a metabolic disease causing weak muscle tone and delayed motor skills. This condition meant that whenever Dani or Jahziel needed to get from one place to the next, their parents had to carry them… believing this was their only solution. 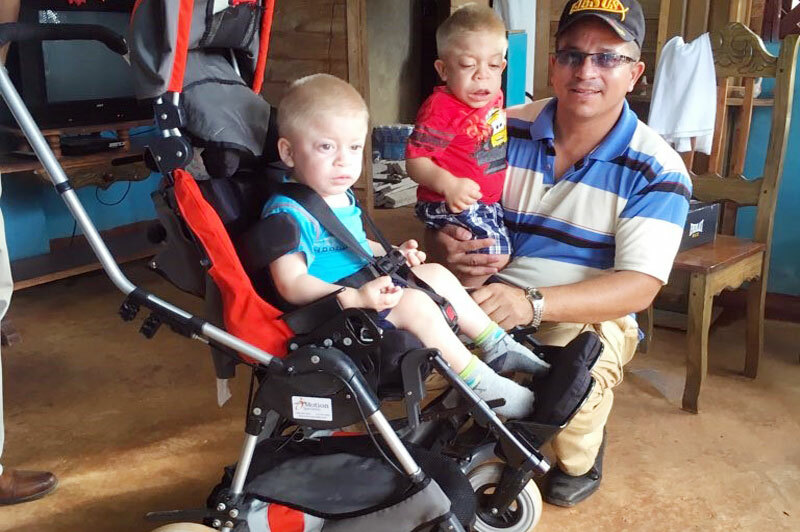 But now… thanks to you… these little boys are zipping around their home on their ‘new’ mobility equipment – a medical walker and a stroller.